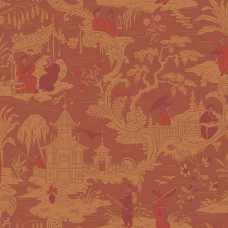 The Cole and Son Archive Anthology Chinese Toile 100/8041 Wallpaper design is a warm and vibrant concoction or oranges and reds for a close colour palette. 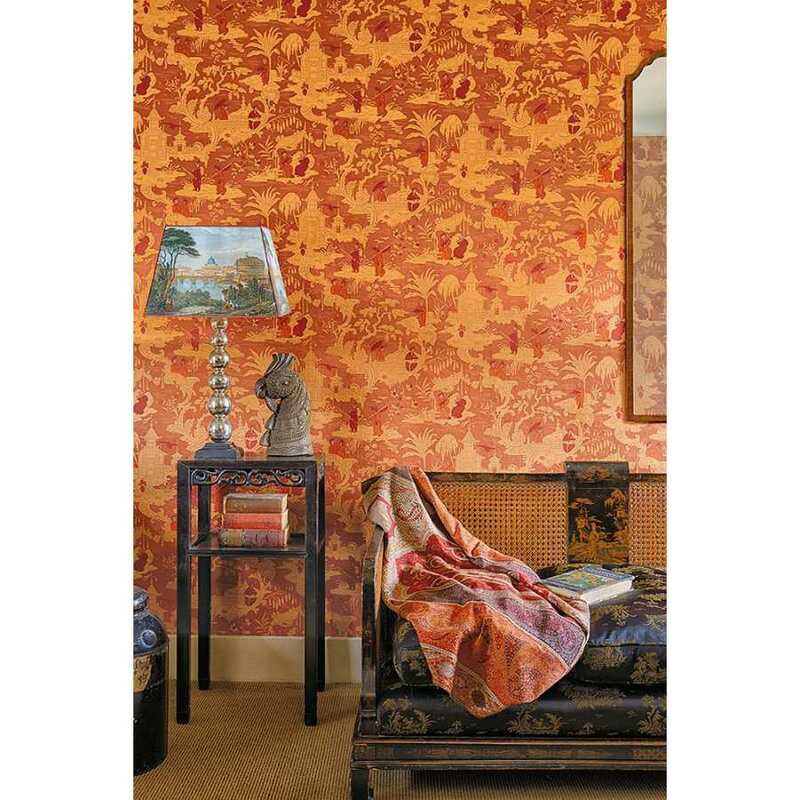 The Archive Anthology collection by Cole and Son brings together a selection of Cole & Son’s most popular and well-known classic wallpapers, whilst also introducing several designs from their extensive archives. 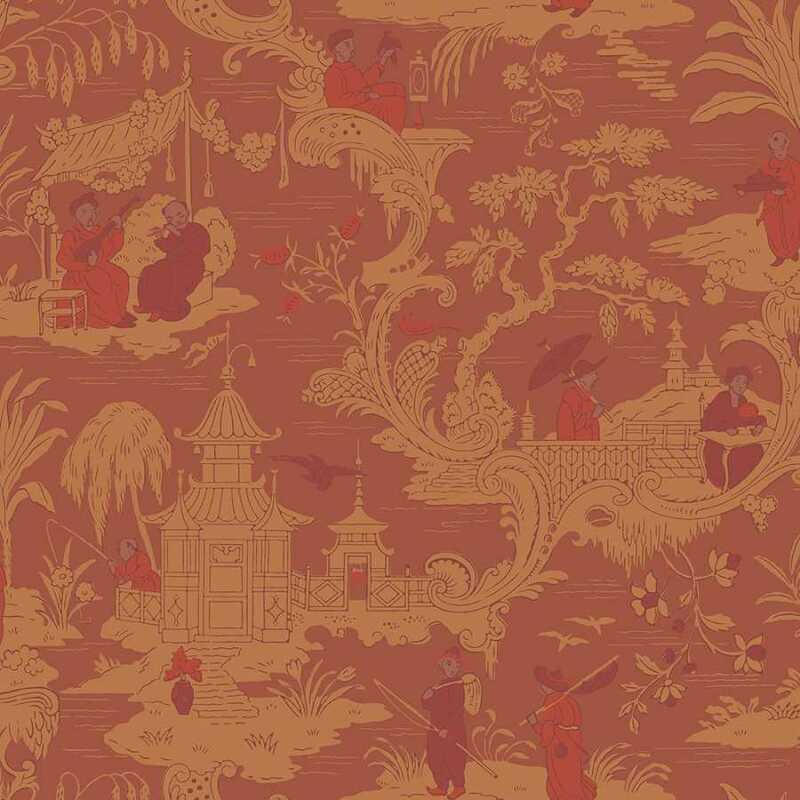 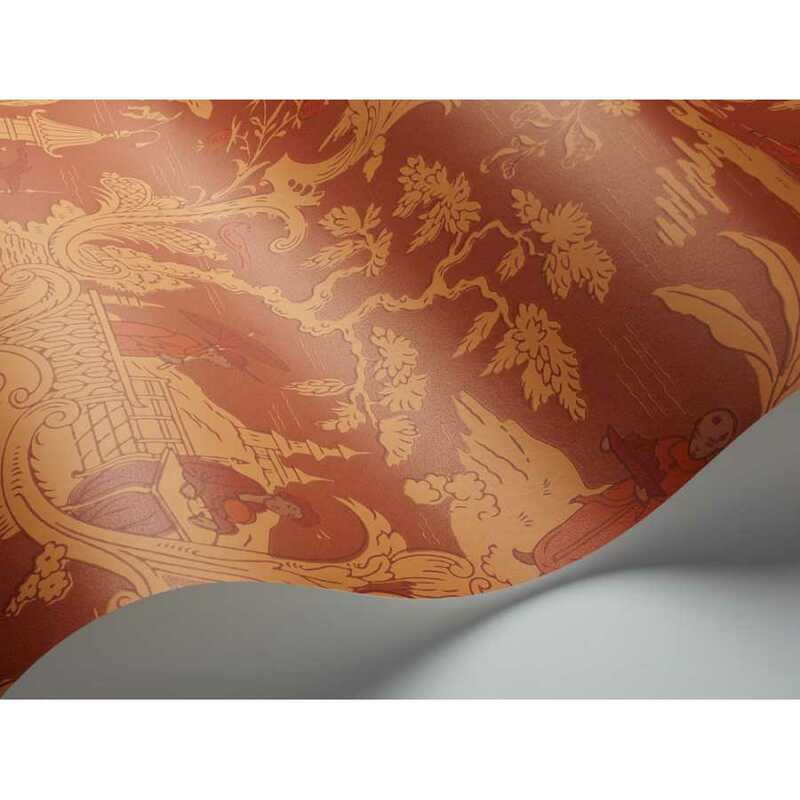 If you are looking to inject a feeling of warmth and oriental tradition into your home or commercial space, the Cole and Son Chinese Toile 100/8041 is a beautifully warm design with the ‘sea’ of the design consisting of a deep orange shade and the floral, traditional Chinese motif consisting of a light orange/ dark yellow shade for a coherent yet noticeable design. The Chinese/ figures people have been designed using deep rich reds and bright oranges in order for them to stand out.